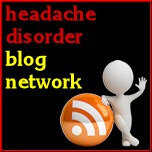 Migraine Monologues: 5 New Genetic Causes of Migraine Identified? Large Study Results Released! 5 New Genetic Causes of Migraine Identified? Large Study Results Released! The Daily Mail, The BBC, The Telegraph and probably even more newspapers and news sites are buzzing with some clever stuff that some clever scientists have been doing at the Welcome Trust Sanger Institute at Cambridge. It's all to do with genetic codes and DNA and migraine. It's exciting because the more we know about the mysterious beast that is migraine the better able we'll be to treat it and create medications. Just read all the articles I've linked to - they're short and will be able to explain everything far better than I! It's exciting stuff I promise. But I will quote from the Daily Mail (actually this quote appears in most of the reports) but as my friend Fiona pointed out - their article is a wee bit more accurate than the good old BBC....wonders never cease. Dr Palotie, from the Wellcome Trust Sanger Institute, which is based in Cambridge, said: ‘We are narrowing down the areas that cause migraines. ‘In the future, we will be able to look at an individual’s DNA profile and target them with a more personalised, tailored treatment, rather than a fix all.’"
So there. 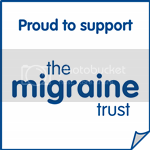 Give money to research, via charities such as The Migraine Trust so that more exciting stuff like this can happen! I have wonderful experience that looking this kind of blog!!! !